Green tea has been touted as almost a super food and everywhere I look, the list of health benefits of green tea are ever-increasing with research to support it, making it even easier to enjoy your refreshing morning or evening cuppa. In fact, a number of products also list one of their ingredients as green tea as it is believed to have the ability to fight cancer. It is rich in natural antioxidants or polyphenols that inhibit the growth of cancer cells. Yes, weight loss. Busts belly fat. What could be easier? Green tea amps up your metabolic rate with its antioxidant content and this means your liver becomes more efficient. All this without stressing over diet changes and exercise routines. 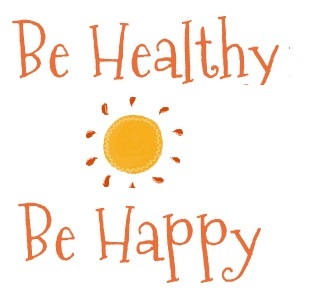 Your energy levels become better, too, naturally. You know all about good cholesterol, bad cholesterol, right? Green tea zaps the LDL or bad cholesterol by slowing down the oxidation of LDL in the arteries. Green tea also plays a role in reducing the chances of blood clot formation or thrombosis – which is a leading cause for heart attack and stroke. It prevents cholesterol build-up in arteries and helps prevent cardiovascular disease. Green tea acts as a natural ACE inhibitor to balance blood pressure. ACE or angiotension converting enzyme is secreted by the kidneys and triggers high blood pressure. The enzyme amylase is responsible for breaking down the starch we eat into simple sugars, so that they can be absorbed into the blood. The polyphenols in green tea hinder the action of amylase, ensuring that the absorption of sugar is gradual. High blood sugar levels and insulin are risk factors for diabetes. If you are living with diabetes, green tea stabilizes the blood sugar and with its cholesterol lowering action, it controls blood pressure. If, by chance, you consume food that contains bacteria, consuming green tea with your food can help avoid food poisoning, preventing harmful bacteria from growing in the intestine. It also promotes the growth of friendly bacteria. Green tea is a natural anti-bacterial beverage and it also kills bacteria in the mouth, preventing the formation of cavities. Too much iron in the liver can result in viral hepatitis. 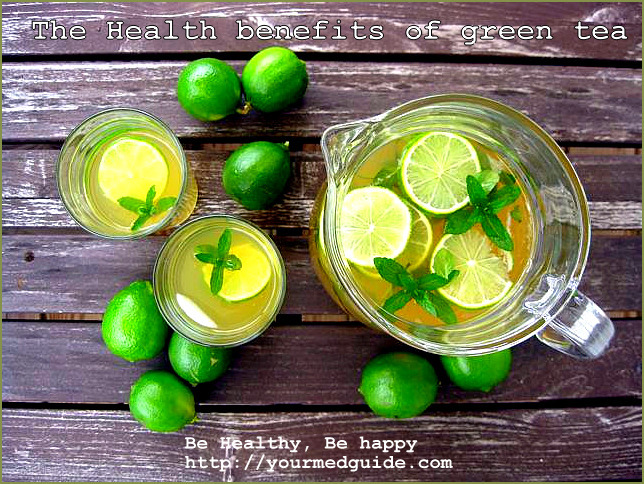 Green tea can lower the level of iron in the body, and act as an anti-viral with specific strains of hepatitis. Green tea has a compound called epigallocatechin-3-gallate (EGCG), which helps inhibit blood vessel growth and protects from cancer. Green tea slows down breast cancer growth, prostate cancer and lung cancer. The antioxidants in green tea can relieve the symptoms of arthritis by inhibiting the Cox-2 gene that causes inflammation, which results in painful joints. Green tea consumption protects from cognitive impairment as it promotes more activity in the working-memory area of the brain. Green tea blocks a key cell receptor that triggers the allergic response and helps fight allergies. Guards skin against UV damage, preventing skin damage and wrinkles. Yes, nothing like a cuppa green tea to relax you. The natural ingredient in green tea, theanine calms you. What’s not to like about the health benefits of green tea? It also tastes good – whether you drink it hot or iced. Make sure that you don’t boil the green tea as it destroys the catechins or antioxidants. After you boil the water, let it sit for a few seconds before seeping the tea bag or leaves. Preferably, add lemon as the Vitamin C helps in the absorption of the antioxidants. Milk is not recommended as it inhibits the absorption of the antioxidants. So go ahead and enjoy your tea break with green tea. Update: Don’t throw away your tea bags just yet. Here are 20 ways to reuse and recycle them! Pregnancy and breast-feeding: If you are pregnant or breast-feeding, green tea in small amounts is POSSIBLY SAFE. Do not drink more than 2 cups a day of green tea. This amount of tea provides about 200 mg of caffeine. Consuming more than this amount has been linked to an increased risk of miscarriage and other negative effects. Caffeine passes into breast milk and can affect a nursing infant. Don’t drink an excessive amount of green tea if you are breast-feeding. “Tired blood” (anemia): Drinking green tea may make anemia worse. Anxiety disorders: The caffeine in green tea might make anxiety worse. Bleeding disorders: Caffeine might increase the risk of bleeding. Don’t drink green tea if you have a bleeding disorder. Heart conditions: Caffeine in green tea might cause irregular heartbeat. Diabetes: Caffeine might affect blood sugar control. If you drink green tea and have diabetes, monitor your blood sugar carefully. Diarrhea. Green tea contains caffeine. The caffeine in green tea, especially when taken in large amounts, can worsen diarrhea. Irritable bowel syndrome (IBS): Green tea contains caffeine. The caffeine in green tea, especially when taken in large amounts, can worsen diarrhea and might worsen symptoms of IBS. Glaucoma: Drinking green tea increases pressure inside the eye. The increase occurs within 30 minutes and lasts for at least 90 minutes. High blood pressure: The caffeine in green tea might increase blood pressure in people with high blood pressure. However, this does not seem to occur in people who regularly drink green tea or other products that contain caffeine. Liver disease: Green tea extract supplements have been linked to several cases of liver damage. Green tea extracts might make liver disease worse. Weak bones (osteoporosis): Drinking green tea can increase the amount of calcium that is flushed out in the urine. Caffeine should be limited to less than 300 mg per day (approximately 2-3 cups of green tea). It is possible to make up for some calcium loss caused by caffeine by taking calcium supplements.